I like to call this Chedda Chz – funny, huh? After a few years of tinkering, this is the version I have come to love the most. I started with a much more complicated version for my nachos recipe but this is simpler. And better too. Keep it thick for nachos or tacos or thin it out for mac ‘n chz. **I like using white pepper because it is stronger and the peppercorns won’t impact the color of the chz. This is good for picky kids. Place everything into the Vitamix and let it rip until everything is combined. Add 1/4 cup water to get it going and then a bit at a time to get the consistency you want. If it gets to thin, add more cashews! Taste and adjust salt and pepper. Pour over nachos, tacos, pasta or whenever you feel like eating cheddary goodness. Enjoy! Fresh summer food. There is nothing like tomatoes straight from the farmer’s market or if you are lucky, your own garden. I love to pair these with Kite Hill Soft Fresh Original Cheese. Cut the tomatoes in half. Press the Kite Hill cheese with the back of the fork to break it up a bit. Sprinkle it over the tomato halves. A little grind of fresh pepper. Enjoy! I have been transported to my pre-vegan days. During Passover our favorite thing in my house was to eat cream cheese on matzo. Well, yesterday I found Kite Hill’s Cream Cheese at Whole Foods along with organic whole wheat matzo and we are back in business! I have to say that hands down Kite Hill makes the best “cheese” product on the market. Their number one product is their ricotta cheese which, to me, is just like cottage cheese. It is so ridiculously good I almost can’t deal with how good it is but it is almost never available. Insert sad face here. 🙁 In fact, the one time I did find it, I ate it out right of the container while we were shopping and there was nothing left for me to blog about. Anyway, back to yesterday’s find. 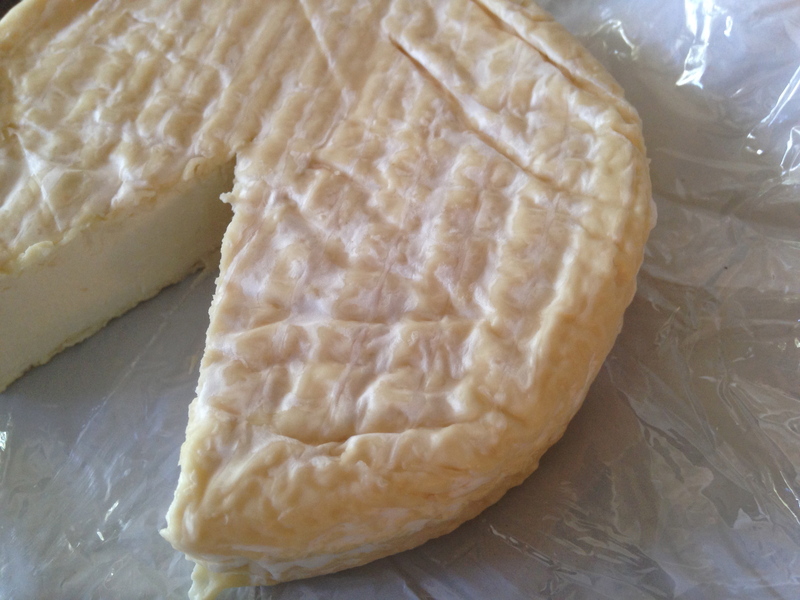 Kite Hill Cheeses are an exclusive product of Whole Foods. Every time we visit Whole Foods no matter where we are, I ask for Kite Hill. Any Kite Hill. Yesterday, the Lake Grove Whole Foods had the cream cheese – both the plain and chive versions. I bought both, of course. The cheese is made from almond milk so the texture is light and creamy. It is not as heavy as cashew based cheeses and the ingredients are super pure. Compared to other vegan cream cheeses, this wins hands down. Hands down. It’s creamy. It’s smooth. It’s real. We have been planning our future cream cheese projects while munching on our matzo starting with cream cheese and jelly, cream cheese and tomatoes, and cream cheese and avocados. Not to mention cream cheese frosting, filling, and cream cheese based sauces. Oh the possibilities! With the exception of the labels and packaging, which could use some serious help, I have only positive things to say about Kite Hill. I hope you find it soon in your local Whole Foods! Friday, January 30, 2015 by Lisa Dawn5 Comments on Cacio e Pepi: Cooking with Miyoko’s Kitchen! This is the best cheese I have ever had. Seriously! We flew down to Florida this morning for a week of sun and golf. 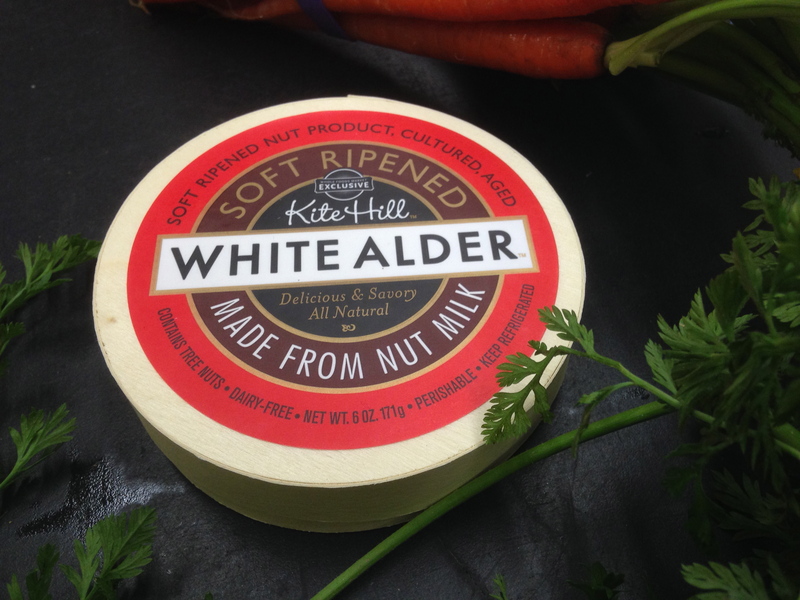 We went straight to Whole Foods in Palm Beach Gardens to stock up and as I walked by the cheese counter, I decided to ask if they carried Kite Hill’s Nut Milk Cheese. I heard a lot about it and it turns out, I am the first person to ever ask about and the first person to buy it at this store! Go me! I have eaten half of this little wheel all by myself. It really is soft, velvety and slightly tangy. The perfect mouthfeel for an aged cheese. It is great on its own or with crackers and it does pair wonderfully with grapes! This is vegan heaven. Please check this cheese out. It is already legendary.